Are you in possession of a Blackberry device? Use this tutorial to download WhatsApp for Blackberry instantly. Since the Blackberry Operating System supports WhatsApp Messenger, it is very likely that the App is available for your Blackberry device. 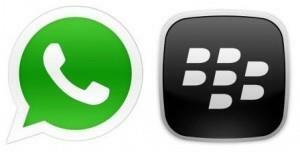 WhatsApp is currently one of the most popular and most downloaded Apps among Blackberry users. Using WhatsApp Messenger you are able to send free all kind of messages, photo’s, video’s, locations and lots of other media to all your friends. Therefore it is important that your contacts also use WhatsApp. It is very likely that your friends already make use of WhatsApp because the App has millions of users worldwide. It is also possible to make free calls using WhatsApp. So where are you waiting for? Use the tutorial below and download WhatsApp for Blackberry today! If you are an experienced Blackberry user, you may not need this explanation. You can directly start the App World, search for WhatsApp and download the App. The download of WhatsApp for Blackberry is completely different than for e.g. WhatsApp iPhone or WhatsApp Samsung. It is important that you follow the steps on this page, and not use a tutorial that is written for Android or iOS. How to download WhatsApp for Blackberry? 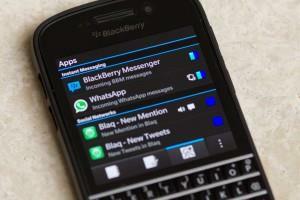 WhatsApp for Blackberry has grown rapidly in recent years. Before the WhatsApp era, most Blackberry users used Ping. Blackberry was one of the first Operating Systems that allowed users to send free messages. Ping became very popular among young mobile phone users. The big disadvantage of Ping was that people could only send messages to other Blackberry users and not to smartphones that run other operating systems. WhatsApp changed this completely. With WhatsApp you can send messages to any users. It doesn’t matter if he or she is using Android, Blackberry, Windows Phone, iPhone or even Symbian. As long as you both have installed the WhatsApp Messenger Application, you can directly start a free chat! Do you want to become part of the WhatsApp community? Don’t hesitate and download WhatsApp for Blackberry today. In the tutorial below you can exactly read how the download, installation and final phone number verification works. This tutorial applies to almost all Blackberry devices launched from 2012. Before you start with the tutorial, it is important you have an active phone number with SIM card, a full charged battery and an internet connection. This can be a WiFi connection but also a 3G or 4G connection. 1. Pick your Blackberry Device and open the App World Application. You can find this App in the regular menu of your phone. 2. Select the search function and enter the name of the App. In this case this is “WhatsApp”. 3. Now you see all Apps that match the search term “WhatsApp”. As you can see there are multiple Apps. It is important that you select the first search result called “WhatsApp Messenger” with the green icon. 4. In the App overview page you can find lots of additional information about WhatsApp. You can for example see how other users perceive the App, you can check a short description and you can see a couple of screenshots. All you need to do is click on the “Run” button. The download and installation of WhatsApp for Blackberry will start automatically. 5. Your phone will start the installation. You can always check the progress of the installation. You can find this in your notification center. Once the installation is complete you will get a message. 6. When you have received the message that the installation of WhatsApp for Blackberry succeeded, you can directly open the App. 7. When you open the App the first time you need to verify your phone number. Without a verified phone number you can’t make use of WhatsApp. Verifying is easy. Just enter your phone number and country code. You will immediately receive a SMS of WhatsApp with a activation code. Enter the activation code in the App and you are done! 8. Now you have verified your number, WhatsApp will scan your phone for contacts that also use WhatsApp. Once this is done you can directly select a certain contact and start sending free messages. We wish you good luck and lots of fun with WhatsApp Messenger for Blackberry. Hopefully, this tutorial helped you with the download of the App. Feel free to share your opinion and experiences with the Blackberry App. This gives other users a better understanding of how good the App is working on Blackberry devices. Don’t forget to mention the Blackberry device you are using. Do you need more specific information about your Blackberry Device. We are adding more and more Blackberry devices to our database. Below you can find all Blackberry devices that we currently offer. Click on the post to read more information about WhatsApp for your specific Blackberry device!